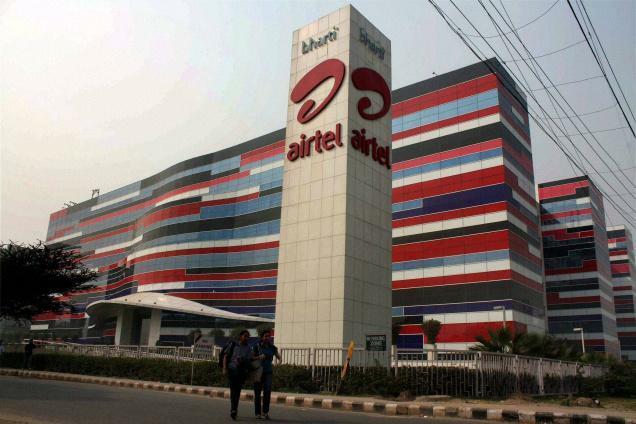 Bharti Airtel Limited is an Indian global telecommunications company with headquarters in New Delhi, India. In 2016 revenues were reported as INR966billion or US14billion. Airtel serves 357.8 million customers in 18 countries as of June 2016. To reach CEO Gopal Vittal, you may address a letter with: Airtel, 1 Nelson Mandela Road, Vasant Kunj, Phase II, New Delhi, 110 070 India. Also you will find contact phone numbers and information here. You may email 121@in.airtel.com with your Customer Service needs. In 2011 Airtel ventured into ATN, Aeronautical Telecommunications Network software development. The US office for the Airtel ATN is: 3 Bethesda Metro Center, Suite 700, Bethesda, MD 20814. This office’s phone number is 301-961-1571. Airtel popular products include: prepaid, postpaid mobile plans as well as broadband (Fixed 3G and 4G)services. High speed DSL and IPTV, DTH are also featured services. You will find social media presence on Twitter, LinkedIn and non-English but entertaining YouTube. A representative fro Airtel came to me and said port your number to postpaid, which is existing prepaid. So, he said I will give you 1100 min + 1200mb data in 399/month plan along with you can port 5 numbers with it and all numbers can share this plan at 199/annul charge. 20 days passed, i call several times to this person no responding and he also took 300 charge for porting which will be refundable. All the people from Airtel are cheaters and company also cheating people. My request to everybody please do buy any Airtel plan. They all plan to fraud our money. Internet connection not available on 13-2-16 & 14-2-16 both in the morning & evening. Called AirTel customer service number and reported it immediately. I believe the company should reduce the tariff to that effect. I bought a new sim yesterday it didn't yet got da network till nw I have cald to coustmer care but of no use. I have used Airtel prepaid services and found it the best in terms of the plans they have to offer. They have prepaid for data users too which I think suits the requirement of students like me who are not yet earning but have the need for a phone. Airtel have come out with many plans that suit the need of every individual which makes it very easy on the pocket and one can choose based on their requirements. I chose Airtel when compared to other operators because of the quality of network, plans and many exciting features on data usage they offer. I also recommend this to anyone planning to go for a prepaid connection and do not know which to choose. Airtel is the e best in class and highly recommended.